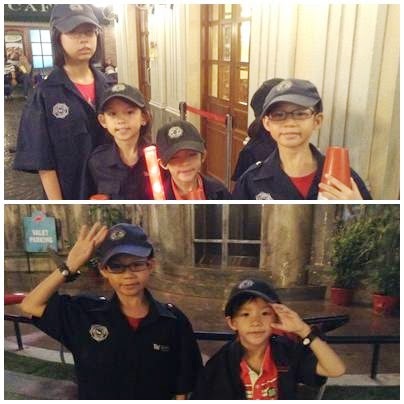 Brought my Little Angels to Kidzania and found out that Kidzania now comes out with its own passport. 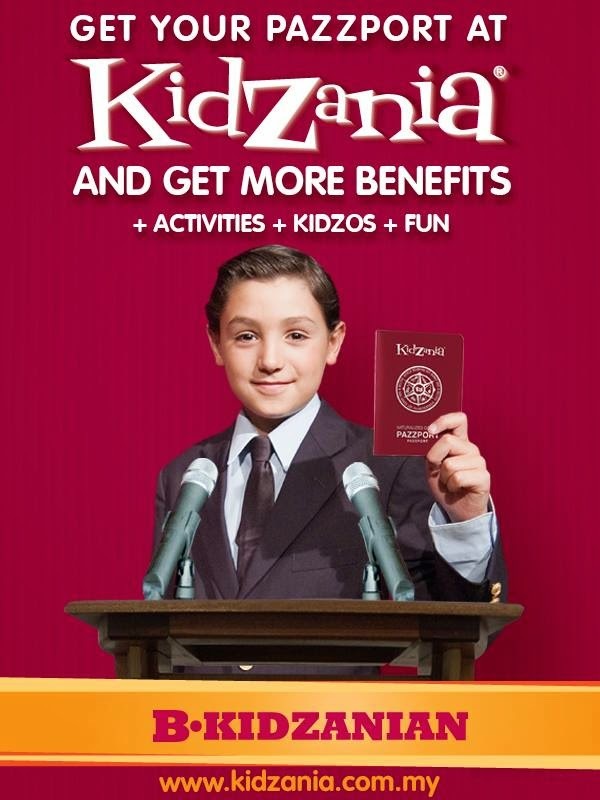 B-Kidzanian Pazzport to encourage kids to get more benefits, kidzos, activities, exclusive discount and fun. Only for RM30 per kid and the pazzport valid till the kid age 17 (one-off fee and non-refundable). Their PaZZport Office is located near to OREO Cookie Factory establishment ! 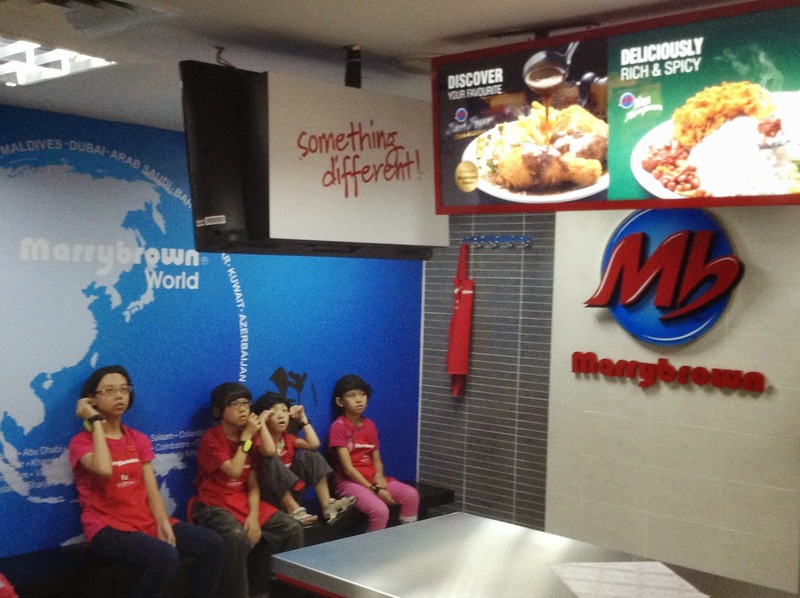 For every activities that required my little Angels to work, those with the Pazzport, will earned an extra 2 Kidzos and for those paying activities like making burger at Mary Brown, Sushi at Sushi King, Vitagen etc, those with Pazzport will pay less by 2 Kidzos. 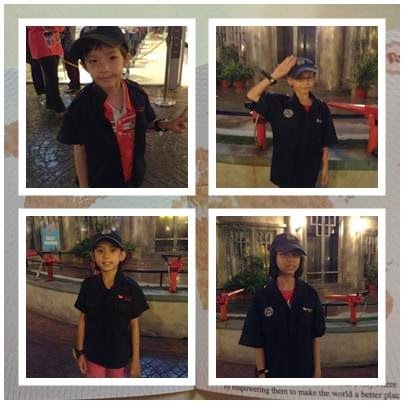 So, if your child quite frequent to Kidzania, then its quite worth it. With the Pazzport, the child will get discount by 5% when they used those Kidzos to buy their things. Sounds great ? For each activities that they joined, they'll get a stamp and once they have 30 stamps, their pazzport will be upgrade for free. You'll be able to advance through the three levels of B.KidZanian i.e. Naturalized Citizen, Distinguished Citizen and Honorable Citizen. At each level, you'll received more benefits to enjoy at Kidzania including discounts at the National Store of Kidzania and more KidZos! The entry level is Naturalized Citizen and the kids will earn and save 2 extra kidzos for every activity. There are 5 kidZos discount on redemption items at department store and 5% discount in National Store. Once your kids earned 30 stamps from joining all those activities, Kidzania will upgrade the pazzport to Distinguished Citizen for free. There will be special activities for Distinguished Citizens at the participating establishments. The kids will earn and save 4 extra kidzos for every activity. There are 10 kidZos discount on redemption items at department store and 10% discount in National Store. 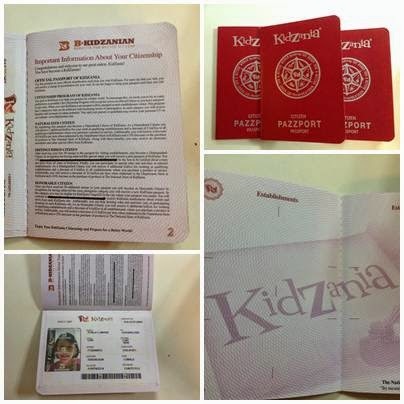 Once your kids earned 60 stamps, Kidzania will then upgrade the pazzport to Honorable Citizen for free. There will be special activities for Honorable Citizens at the participating establishments. The kids will earn and save 6 extra kidzos for every activity. There are 10 kidZos discount on redemption items at department store and 10% discount in National Store. nice passport to them, is it can use in oversea?